We all love sharing our life moments with our friends and families. While there are many ways to do that, Instagram is one of those. Facebook, which acquired Instagram for $1bn (£758m) in 2012, has brought many good as well as bad updates to the App. There were various updates like Instagram stories, Messaging, zooming into pictures, Snapchat like filters and lot more. But there are few features like zooming profile picture, url support, download images/videos or stories, that might not make to the final App ever! If you’re familiar with WhatsApp Plus (GBWhatsApp), we have a new feature rich Instagram mod i.e GBInstagram. 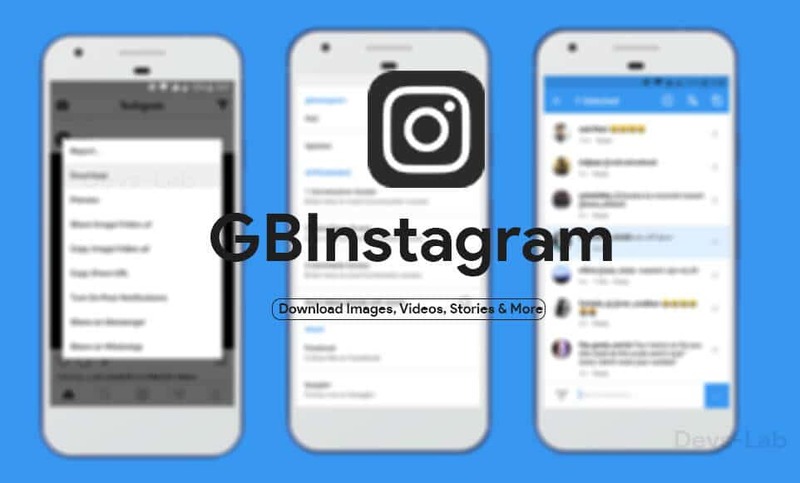 GBInstagram is a modded or modified version of the official Instagram App that has some of the most requested features of the users that never made it to the final App. You will know who follows you. Instagram introduced the stories, which disappears after 24hrs. There are time you want to download someone’s stories but you just can’t. But not anymore, GB Instagram comes with a stories download feature which allows you to download any user’s stories without letting them know about this. And the best part is, there’s no limit or paid downloads. Along with stories download, GBInstagram latest version comes with an ability to download any Videos, Images in the best quality available. Now you don’t need to screenshot anything and just click on download option and you have it. Following popular pages can sometimes be tricky. There are people from all parts of the world, commenting in different languages. You won’t even know when you got roasted for the last comment you made. Well, Not anymore, GBInstagram comes a feature to translate the comment on the go by just long pressing it and clicking on the Translate option at the top. Along with translation, GB Instagram APK allows you to copy comments on your clipboard. Along with all the necessary features, GB Instagram also comes with themes option. Just like GBWhatsApp, this one also gets options to customize every aspects of your Instagram App. The default Instagram instagram looks neat but after a time you find it boring with those white and grey colors. You feel like, this app needs to have more colors. So, GB Instagram has got you covered. Just like WhatsApp, you’re restricted to use only 1 Instagram account at a time. If you’re page manager or operate multiple accounts, this might get frustrating as you need to sign in and sign out everytime. Why this happens? Android apps are saved as “package name” in the system. If you install something with a package name similar to something which is already present in the system, you’ll get installation failed error. Now, GBInstagram has 2 packages. One with the original Instagram package name and one as GBInstagram Plus package. This allows you to run 2 Instagram Apps without using any other apps like Parallel space. Note: If you want to use both the GBInstagram, uninstall the original Instagram app and install both the above apps. 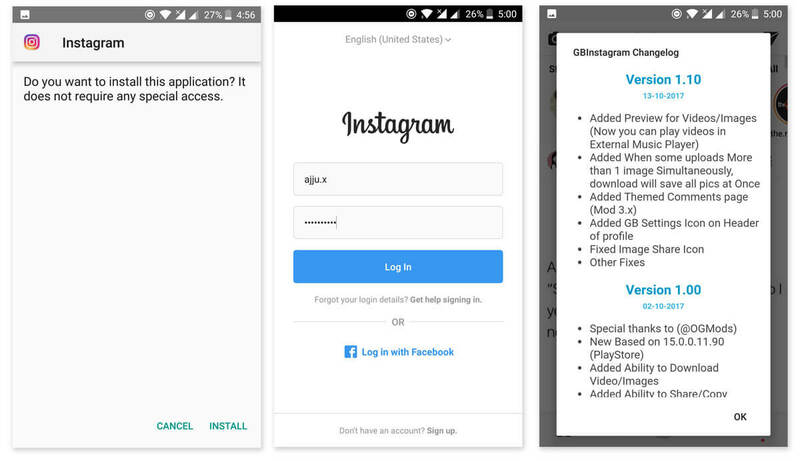 Step 1: Download the Instagram package from the download section. If you want to use 2 Instagram accounts, download the “com.gbinstagram” package. Step 2: Allow unknown Sources to install external APK files. 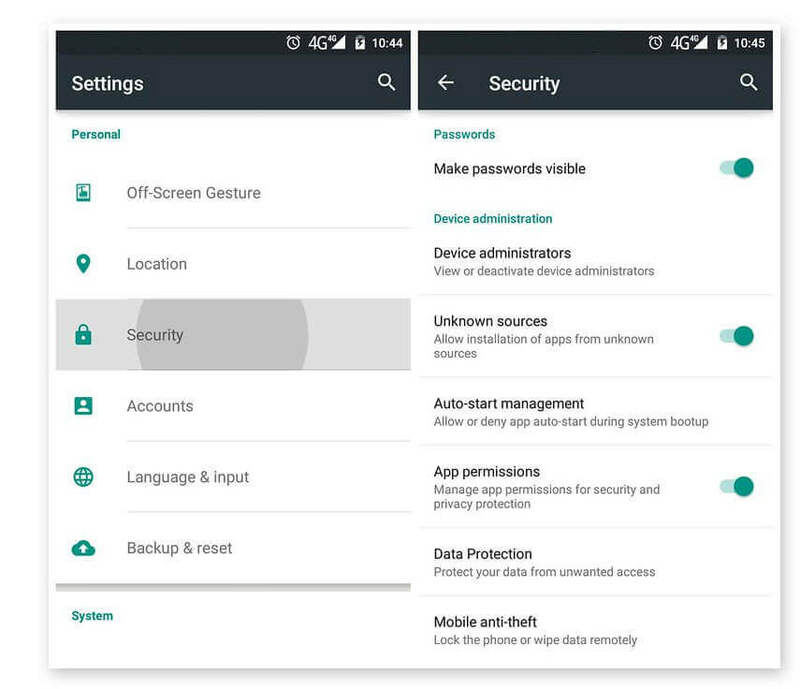 Go to Android Settings > Security > Toggle Unknown Sources to ON. Step 2. After downloading, open file manager > locate downloads folder and click on GBInstagram Apk file to begin installation. Step 3. Open the installed App and click on “Sign in”. (Don’t use the Sign in from Facebook as it has some issues with login. Use your username & password method to Sign in). Step 4. That’s it! You have successfully installed GBInstagram on your Android device. To access GB Settings, Go to Profile > Tap on dots at the top right corner > GB Settings. Now that you have installed GB Instagram, you can download Images, videos, stories and spend time customizing your Instagram app as per your need and color choices. Make sure to tell your friends about this wonderful app so that they can get rid of the boring official App. Bookmark this page for latest updates and changelogs. Let us know what features you would add in the official Instagram app that could make this more interesting.